U.S. Marines watch the announcement of bin Laden&#39;s death at Camp Dwyer in Helmand Province, Afghanistan. The death of Osama bin Laden – U.S. Marines watch the announcement of bin Laden’s death at Camp Dwyer in Helmand Province, Afghanistan. (CNN)Newly released al Qaeda documents, including letters to and from Osama bin Laden in the year or so before his May 2011 death, show an organization that understood it had severe problems resulting from the CIA drone program that was killing many of the group’s leaders in Pakistan’s tribal regions bordering Afghanistan. As a result of this pressure, al Qaeda officials were seriously considering relocating elements of the organization to other countries such as Afghanistan or Iran. They also entered into ceasefire discussions through intermediaries with elements of Pakistan’s intelligence service, ISI, although the documents suggest that nothing came of these discussions and there is no evidence in the documents indicating that the Pakistani government had any clue about bin Laden’s location or presence in Pakistan. This was wise counsel. Within a few weeks of this letter being written, the CIA would track bin Laden’s trusted courier to his longtime hideout in Abbottabad, Pakistan, and on May 1, 2011, a U.S. Navy SEAL operation ordered by President Barack Obama killed al Qaeda’s leader. The new al Qaeda documents are part of a trove of many thousands that the SEALs recovered at bin Laden’s compound. Several were released during the Brooklyn trial last month of al Qaeda operative Abid Naseer. Seventeen of these documents had also been released around the first anniversary of bin Laden’s death. It’s long past time for the government to release more of these thousands of captured documents — with any necessary redactions for national security purposes — as they help us to understand better what precipitated the decline and fall of the terrorist group that once dominated the attention of the world, just as ISIS does today. 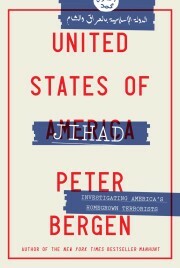 The documents show how al Qaeda’s 9/11 operation unleashed so much force against it, including the CIA drone program, that it had to hide in the shadows and couldn’t pull off any successful operation in the West for many years before the death of bin Laden. The documents demonstrate that almost a decade after 9/11 al Qaeda was struggling to get any kind of operation going against Western targets. In a report on “external operations,” an al Qaeda official explained that a plot to attack the U.S. Embassy in Russia had fizzled and that despite sending al Qaeda members to the UK to hit “several targets” these operations had also come to nothing. Osama bin Laden was killed by a team of U.S. Navy SEALs in May 2011, at a compound near Abbottabad, Pakistan. Click through to see images of the compound where he spent the last days of his life. In a letter to bin Laden, an al Qaeda official provided a vivid description of the death by drone of Mustafa Yazid, then the No. 3 leader of the group, on the night of May 22, 2010. Yazid and his wife and three daughters and granddaughter were all killed in the drone strike, according to the official. Al Qaeda had tried to use jamming technology and to hack into the drones “but no result so far,” according to the al Qaeda official. The documents show that such a ceasefire was purely tactical rather than the beginning of some kind of rapprochement between al Qaeda and the Pakistanis. At one point an al Qaeda official referred to “bin Laden’s call to jihad against the apostate government of Pakistan.” Apostasy is a grave crime in Islam and punishable by death in the eyes of members of al Qaeda. According to the documents, Pakistani intelligence officials “reached out to” al Qaeda through longtime jihadist sympathizers who had formerly held positions in the Pakistani intelligence agency, ISI, as well as the leaders of militant groups such as the Haqqani Taliban faction that have contacts with the ISI. The documents suggest that nothing came of these discussions, and there is no evidence in them that the Pakistanis had any idea that bin Laden was in Pakistan or indeed was even alive. Moreover during the course of reporting the book “Manhunt,” about the CIA’s long search for bin Laden, I spoke to several senior U.S. officials who said that the U.S. intelligence community was covertly monitoring the communications of Pakistani army chief Ashfaq Parvez Kayani and ISI director Ahmed Shuja Pasha the night of the bin Laden raid and they were both surprised about him being in Abbottabad. The documents did show one area of real success for al Qaeda, which was kidnapping for ransom, a tactic ISIS has been using so effectively. In 2008, al Qaeda had captured Afghanistan’s former ambassador to Pakistan, Abdul Khaliq Farahi. After two years of negotiations he was exchanged for $5 million. An al Qaeda official told bin Laden that some of this money would be a “gift” to him “from all the brothers.” Bin Laden cautioned al Qaeda’s leaders to be careful with the ransom money, as it might have to last the terrorist group several years. The documents show that al Qaeda’s leaders were in contact with Tayeb Agha, a close aide to Taliban leader Mullah Mohammed Omar. Agha has met with U.S. officials on a number of occasions to discuss peace negotiations. Far from the image of the isolated man in the cave that was prevalent before he was killed, the documents portray bin Laden as a hands-on manager of al Qaeda. In a 10-page letter that bin Laden wrote in August 2010, he had reams of advice for the al Qaeda-aligned group Al-Shabaab in Somalia, ordering that the group not attack Sufi Muslims in Somalia and also suggesting a plan to assassinate the President of neighboring Uganda who had sent his troops to fight Al-Shabaab. Bin Laden gave detailed notes about how Al-Shabaab could raise its agricultural output by using small dams for irrigation, and he suggested planting palm olive trees imported from Indonesia. He also advised Al-Shabaab against cutting down too many trees because it is “dangerous for the environment of the region.” Bin Laden had lived in nearby Sudan in the mid-’90s, establishing a number of business and farming enterprises. Bin Laden, something of a micromanager, told his top lieutenant to “send us the resumes of all the brothers who may be nominated now or in the future for important management positions.” He also cautioned against sending any emails, including even encrypted ones, urging that hand-delivered letters were the only safe method of communication. Bin Laden also ordered that some of the tens of thousands of documents leaked by U.S. Army Pvt. Bradley Manning to WikiLeaks in 2010 be translated so that al Qaeda could better understand “the enemy’s policies in the region.” And he suggested that his lieutenants reach out to Ahmed Zaidan, an Al Jazeera reporter based in Pakistan who had interviewed bin Laden in the past, so that he could have plenty of time to prepare a report to mark the 10th anniversary of 9/11. Bin Laden said he didn’t want Zaidan to interview any members of his family, but he told his team to get in touch with the reporter “promptly” to get a sense of the questions he wanted bin Laden to answer. Bin Laden was killed four months before the 10th anniversary of 9/11. As the new al Qaeda documents make clear he died knowing that his dream of another terrorism spectacular in the West was just that: a dream. And the organization that he had founded was in deep trouble because of the CIA drone program. Note: An earlier version of this article incorrectly said bin Laden had lived in Somalia.